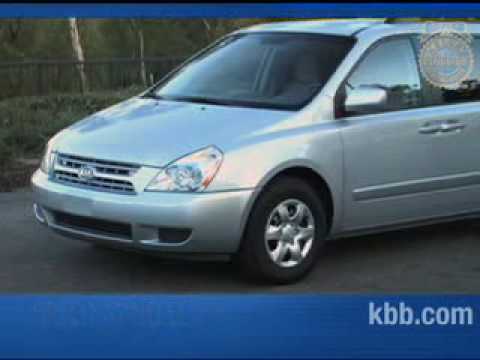 2005 Kia Sedona Lx was the best car I've bought until the warranty rules started making us fix things that weren't messed up until the Kia dealership worked on them. I really loved it until the Kia shop recalled the struts and replaced them. After they were replaced I started having trouble in the front end. It fit my family good and was great on gas mileage. Then when it was time to do the 60,000 mile tune up we got it done so our warranty wouldn't be voided but after it was done at least once a year one of the plugs would misfire. Four three years straight they had to keep going in and fixing the plugs until they decided they wouldn't continue to cover the costs. And the cost for the tune up at 60,000 miles was a little over 700.00$. Perfect family vehicle with enough room for the family. The car is a nice looking van inside and out. Lots of cup holders, outlets, and room. The maid down side is when you have the first back row seats buckled it blocks the back section entrance off. We have 2 toddlers in car seats and have to unbuckle one every time we let our 10 year old in and out of his back seat. I like that the center console folds down. There is room for a small garbage can under it. The seats are comfy and easy to clean. And for a 2005 it is still rust free and reliable. Due to cheaper side many issues occur to take into consideration. The Kia Sedona has terrible motors in their seats. I have got three motors and continue to have issues. Also the back seats randomly do not lock and fly forward. I chose this van because it was on the cheaper side and had a good amount of miles. As I have heard the battery lasts a long time that was a huge plus. My current battery is 6 years old! But I have replaced the radiator because of a crack and the transmission is currently acting up.